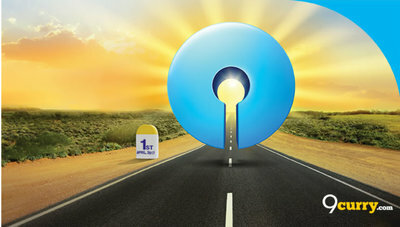 SBI Admit Card 2019: Below are the admit cards published by SBI - State Bank of India / ibpsonline.ibps.in. The recent Admit Card issued for the recruitment drive is Deputy Manager (Internal Audit) Admit Card 2019. SBI Deputy Manager (Internal Audit) Admit Card 2019: State Bank of India has issued the Admit Card on 08 Jan 2019 for the exam to be held on 27 Jan 2019. SBI PO Letter to Successful Candidate 2018: State Bank of India has issued the Admit Card on 31 Oct 2018 for State Bank of India PO Letter to Successful Candidate 2018. SBI PO Interview Admit Card 2018: State Bank of India has issued the Admit Card on 03 Sep 2018 for the exam. SBI PO Pre Exam Admit Card 2018: State Bank of India has issued the Admit Card on 18 Jun 2018 for SBI PO Pre Exam 2018 which is scheduled to be held on 08 Jul 2018. SBI Clerk Pre Exam Admit Card 2018: State Bank of India has issued the Admit Card on 06 Jun 2018 for Clerk Pre Exam 2018 which is scheduled to be held on 30 Jun 2018. SBI PO Pre Exam Training Admit Card 2018: State Bank of India has issued the Admit Card on 28 May 2018 for PO Pre Exam Training 2018 which is scheduled to be held on 23 Jun 2018. SBI SCO Admit Card 2018: State Bank of India has issued the Admit Card on 05 May 2018 for Specialist Cadre Officers SCO Exam 2018 which is scheduled to be held on 19 May 2018. SBI Clerk Admit Card 2018: SBI has issued the Admit Card on 24 Feb 2018 for Junior Associate (Customer Support & Sales) Pre Exam Training 2018. Candidates can download their Admit Card from the link given below from 24 Feb 2018 to 11 Mar 2018. SBI Specialist Cadre Officer SCO Admit Card 2018: SBI has issued the Admit Card on 14 Feb 2018 for the exam. Candidates will be able to download their admit card between 14 Feb 2018 to 25 Feb 2018. Dy. Manager (Law) Call Letter for Interview: SBI has issued the Admit Card on 06 Dec 2017 for the exam which is scheduled to be held on 20 Dec 2017. SBI has issued the Admit Card on 17 Aug 2017 for the exam. SBI has issued the Admit Card on 31 Jul 2017 for the exam. Candidates can download their call letter from website from 31.07.2017 to 17.08.2017.